Triple Use of Your Pink Lipstick - Must Check! There is a triple use of the pink lipstick where your makeup is concerned. A pink lipstick can be used as a blusher on the cheeks, in the form of eye shadow above the eyes and as a lipstick it can be used to wear on the lips. 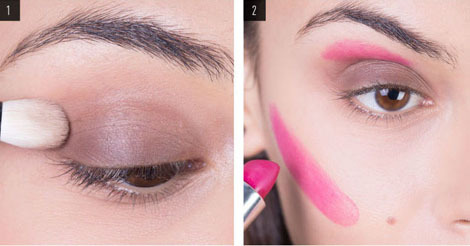 A pink lipstick can form a base when it comes to applying makeup onto your face. You can wear it in a stylish way to look gorgeous and stunning. You can look super cool with it too. Make use of a good brand of lipstick if you wish to apply makeup with it onto your face. [Read: Triple Use of Your Pink Lipstick - Must Try!